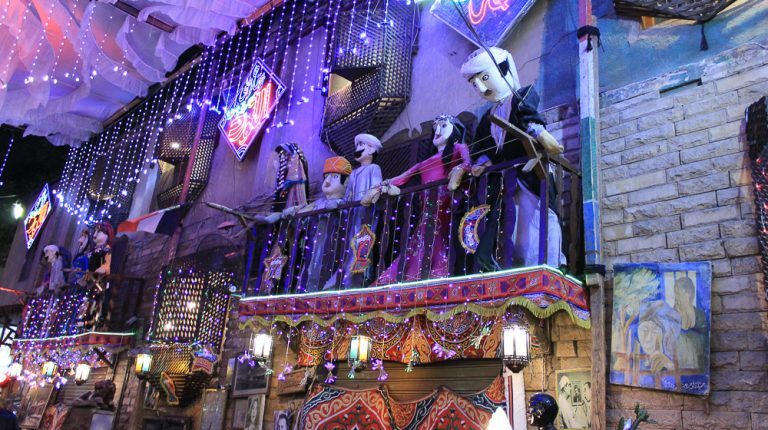 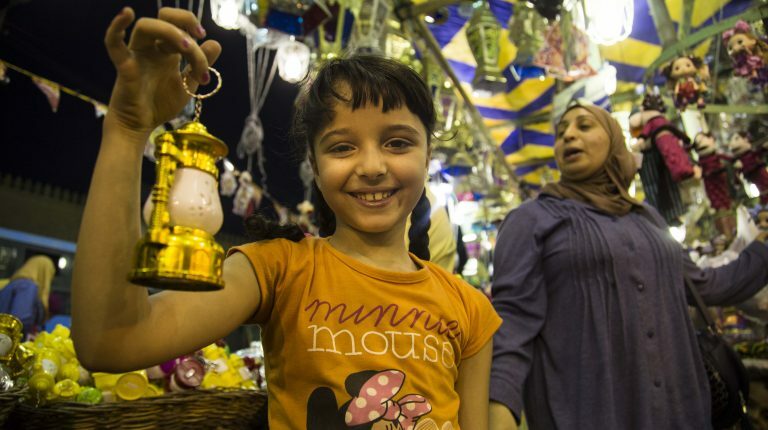 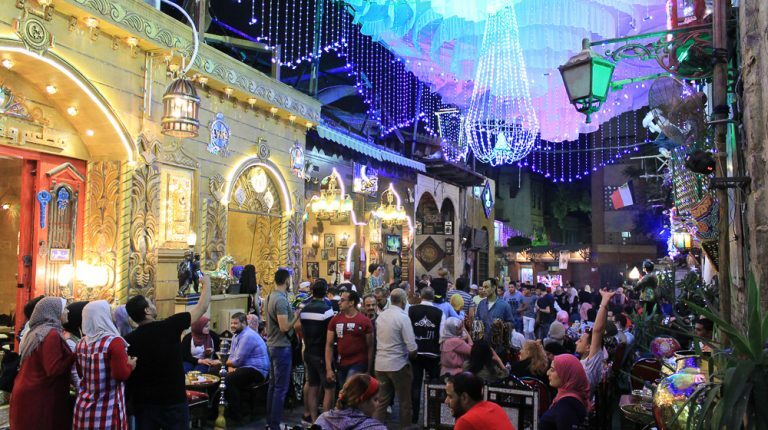 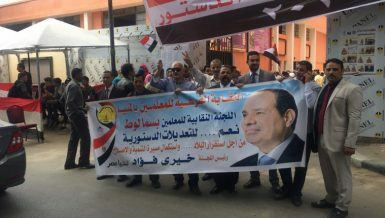 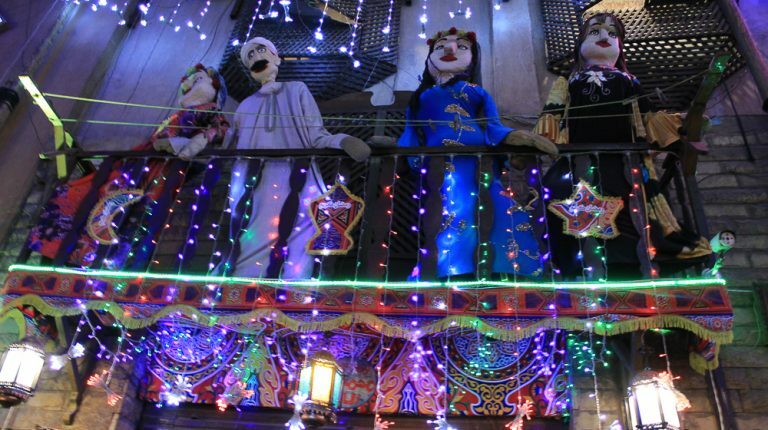 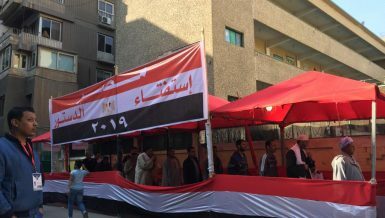 Amid the special spirit Ramadan brings in Egypt, one cannot miss spending a day of the holy month at one of Cairo’s most sacred districts, Al-Hussein area. 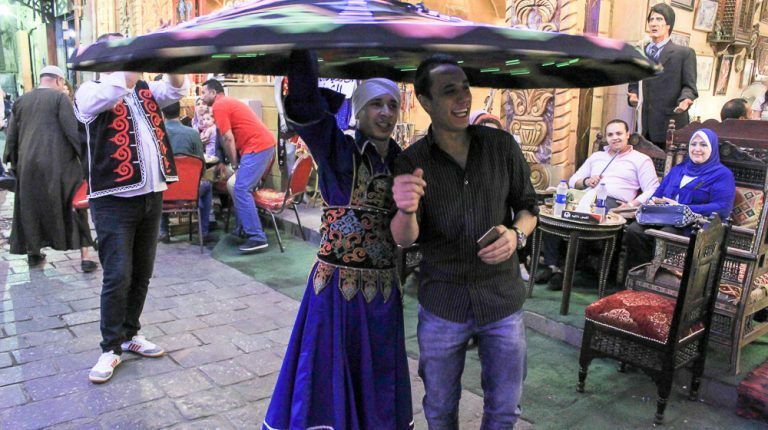 In the heart of Old Cairo, the district combines between the cherished Islamic places of worship and one-of-a-kind entertaining atmosphere. 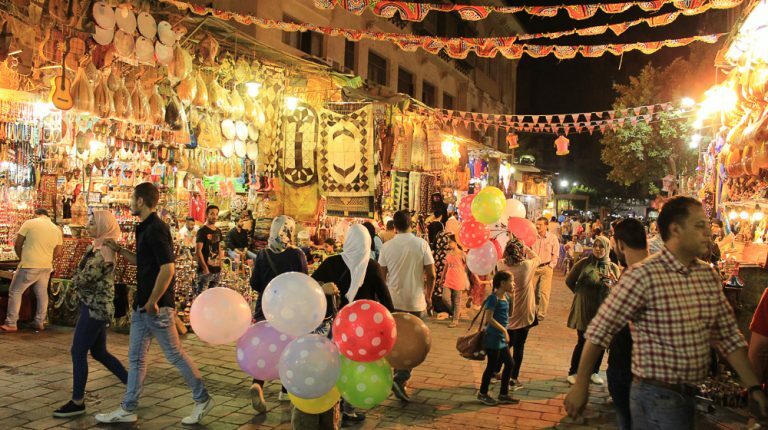 Stepping inside the area before the Maghrib (sunset) call to prayer, is like traveling in time and place to the Fatimid era, as voices of different Quran reciters take over the alleys and streets. 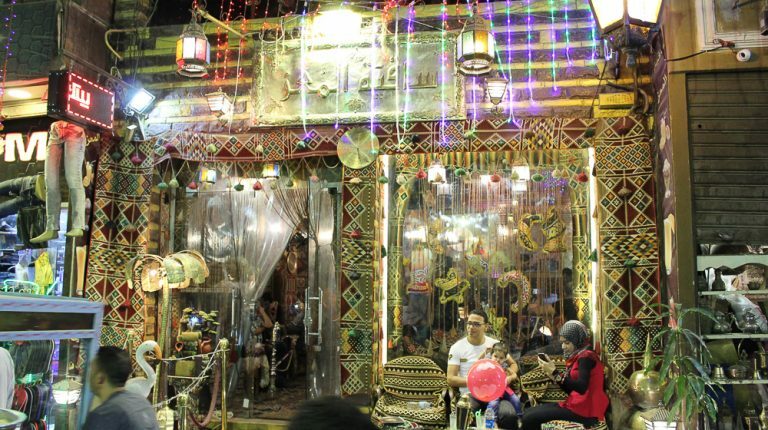 Only a few minutes separate this holiness of Quran, after the iftar call is announced, and the place turning into a social hub of tanoura dancers, Ramadan songs, and people socialising in every corner. 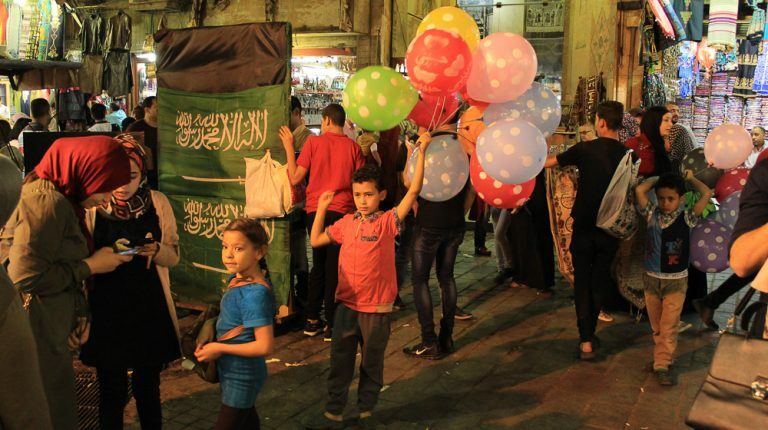 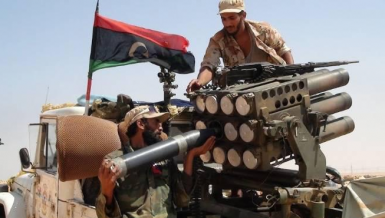 Ramadan nights in the Al-Hussein and Al-Muezz areas last until the early hours of dawn. 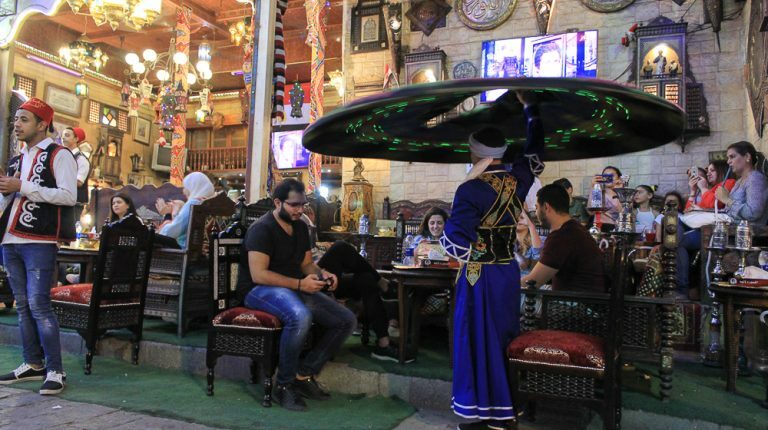 People tend to spend their nights at El-Fishawy Café and nearby local coffee shops, where local singers perform some of the most well-known heritage songs, and juice vendors roam the area selling Ramadan’s famous juices, hibiscus tea, and liquorice juice. 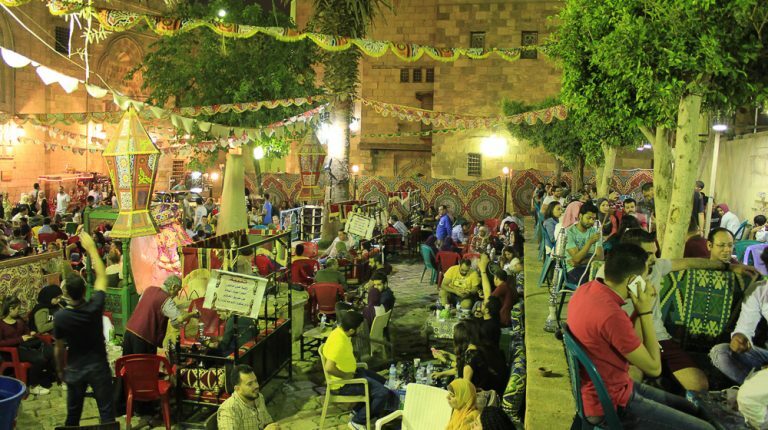 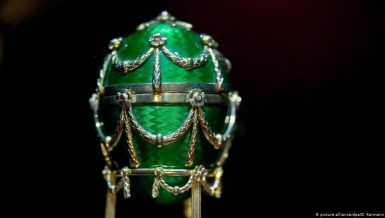 Old Cairo is a revival of Ramadan’s lifestyle in the past and spending a night there is an attempt people make to escape Cairo’s modernism and spend a few hours recalling Egypt’s lost legacy.